Hi sweet things! Another week.... really?! Is it just me or is each week going by faster and faster and faster? I can't believe it's Friday already. My week started off horribly. 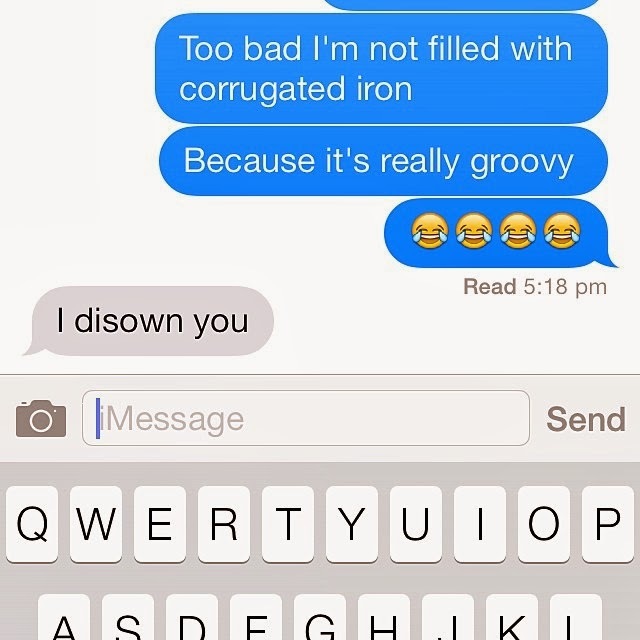 After my iron infusion last Friday, I felt good on Saturday - and then it all went downhill from there. From Saturday evening until Wednesday I felt absolutely awful. My entire body ached, my legs were super heavy and felt like they were made of iron, I had a killer headache that nothing could get rid of, I was having constant hot flushes (and anyone who knows me knows that I'm always the cold one), I had a rash from my stomach down my left leg and I could hardly walk without feeling like I was going to pass out. Here I was thinking I'd avoided all negative reactions but I was definitely wrong about that! Luckily, now I'm feeling much better. I'm not feeling 100% and I'm definitely not up to walking like I usually do or exercising - I'm just trying to take it easy. My brain is also a little confused and slow so I'm hoping that fixes itself out ASAP - there's nothing worse than when you fumble over your words and can't remember anything. Kristy: "How do you get skinny fast?" Jesse: "Um, I don't know?" Kristy: "Look at your arm, notice your skin.... notice the skin all over your body and say.... HEY! I'm skinny!" Recent Accomplishment... I managed to walk the top loop of our local park. It's not much of an accomplishment and nothing compared to where I usually walk, but it's huge when you've been feeling so incredibly weak that you struggled to get from the couch/bed to the kitchen/bathroom to do anything for yourself for 4 days. On Tuesday, I was struggling to even make it around the block and Jesse almost had to carry me home. 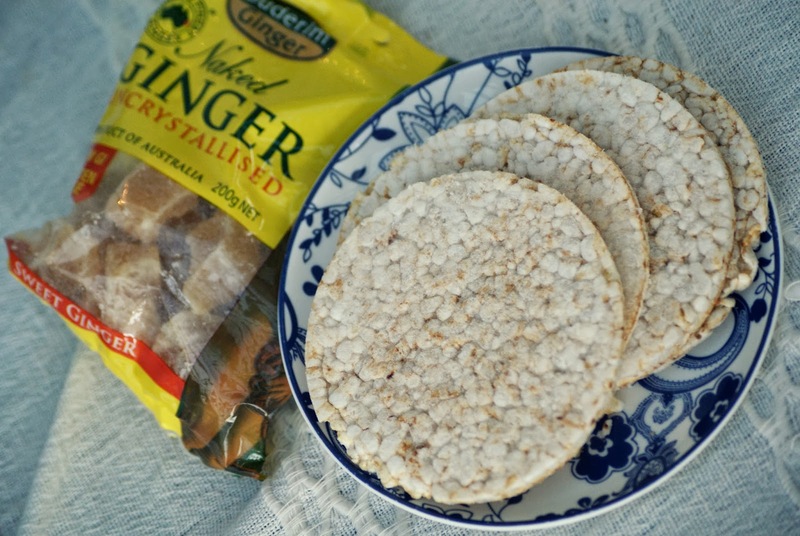 At the moment, Salt and Vinegar Rice Cakes are the fave. I'm not a big fan of regular rice cakes unless I'm traveling and can't get GF bread, but these are aaaaamaaaazing. Jesse just thinks they stink. 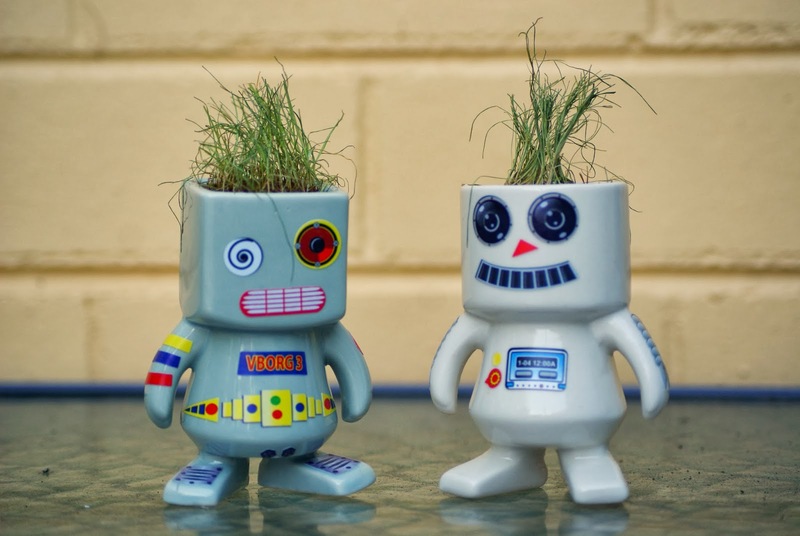 Recent Fail... Do you remember our little Itzabots that we were growing? Yeah... well.... they're not really growing any more. I have a black thumb and they're not as easy to maintain as they make out. They're supposedly self watering so I was always worried I would over water them... and then I got sick so I kinda stopped watering them and forgot about them and then yesterday I found this. Not good. Recent Watch... Beauty and the Beast and Torchwood. 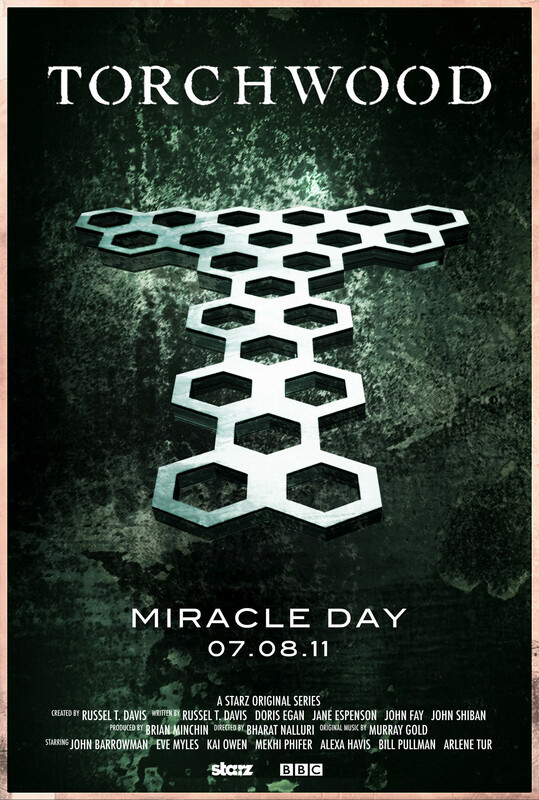 We just finished Torchwood last night and everyone thought it was totally a shock ending - but I'd already suspected it. I loved Torchwood, but I don't understand all of the R-rated add ins? If you'd watch the show, you'd know what I mean. 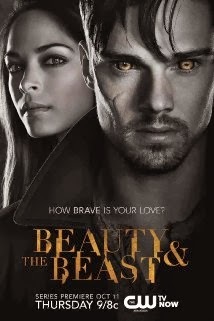 Beauty and the Beast I am totally obsessed with and I feel like I'm totally invested in Cat and Vincent's relationship. Every time something happens that's suspenseful or dramatic I'm all NOOOOOOO don't do it -hides- or YOU HAVE TO SAVE HER!!!! So much drama! Whilst I was sick, I also caught up on rubbish tv. Real Housewives of Melbourne - seriously? My sister loves the show but every second I watched I felt bad for these women. They have so much but they just whine and whinge about everything and start catty arguments. I also saw a bit of Dog with a Blog on Disney Channel and that totally confused my sick brain. The dog is real but somehow they animated it to look like it's talking? Do they put those weird CGI balls on the dog so they can move its mouth in the post editing? Weird. 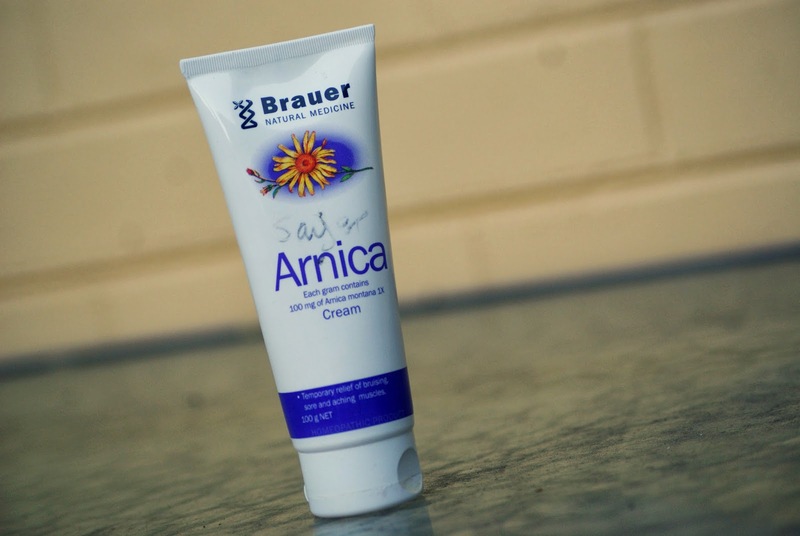 Recent (not quite a) Beauty Fave ... Arnica. Not really a beauty treatment - but a necessary one at the moment (and I promise we're not weird and write our names on everything - Katrina had this tube at the hospital :P). The bruise on my arm from the IV is pretty nasty and this is helping to clear it up quite quickly! It's currently a lovely shade of red/brown but it's been blue, purple, yellow, green and started looking very black the other day. The photos don't do it justice because it's actually really dark - we just have terrible lighting in our house. 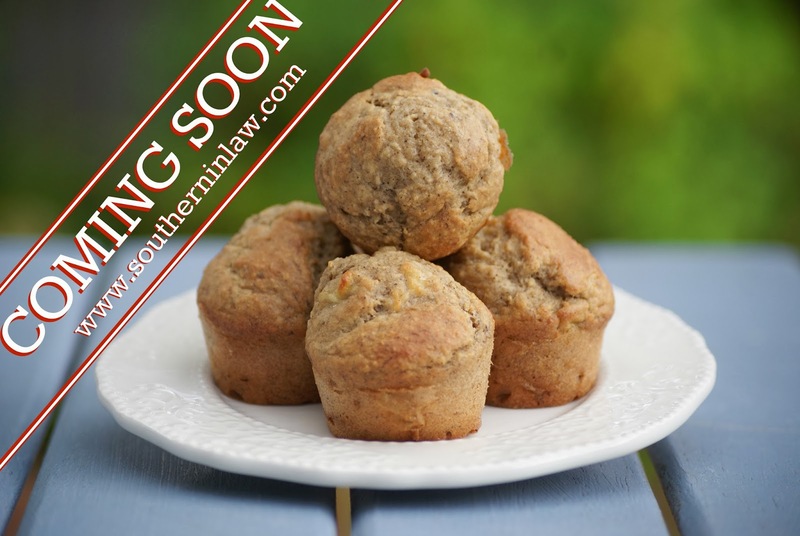 Recent Recipe to Look Forward To... A new banana muffin recipe! They're low fat, gluten free, low sugar/sugar free and sooo delicious. Even my sister is obsessed with them - which is a big thing because she's the pickiest one to please! Recent Things We've Been Looking Forward To... Tonight I'm starting as a youth group leader for our Church's new youth group - and then on Saturday night Jesse and I are taking the whole family to see Mrs Brown Rides Again Live. It's my Dad's favourite TV show so I bought tickets for the whole family as his Christmas present! Recent Things on My Mind... How can I help others more - read my post at the link. Recent Nelly-ness... This photo is kind of Chanel's day in a nutshell. Lazing under the table with her chin propped up - with bonus under bite. She's been my constant snuggle buddy lately and it's so cute. 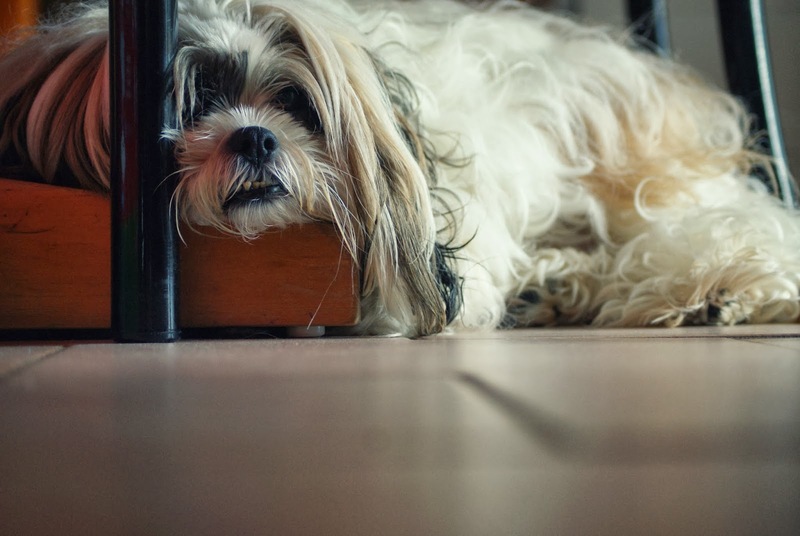 Oh and I promise you, Chanel has five beds and quite a few couches she could lay on - but she loves laying under the table or under Jesse and my bed. Her next favourite spot is the couch in our front lounge room and she rarely lies in her beds unless she's going to sleep at night. What are your "sick foods"? What TV show are you loving? And what are you looking forward to right now? 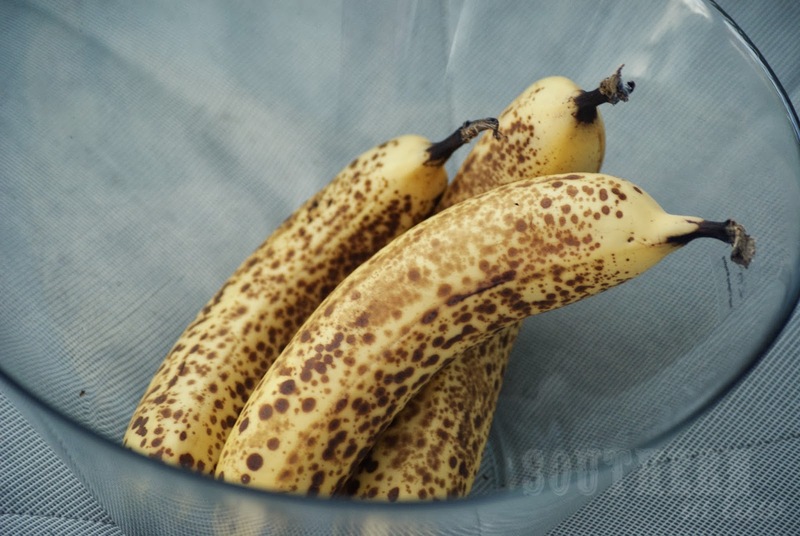 Bananas should only be eaten when they are brown and spotty (for best nutrients!). Look forward to your recipe, my hubby loves banana bread, muffins, cake, whatever. Me... no thanks! I have started storing bananas in the fridge to help extend their life. I placed some green ones in there last weekend not thinking and they have yet to ripen. I tried baking with them tonight and did not turn out as hopes. Whoops!